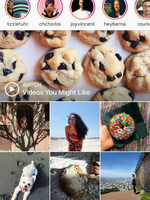 Free photo sharing app, Instagram, allows users to take and share photos and videos. Photos and videos saved to your profile can be shared for everyone to see, or privately with whom you choose. 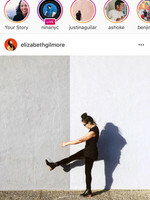 Instagram presents photos in a polaroid-like square shape. Once you snap your photo, you can then apply filters to stylize your photo further. You can choose from a range of filters or have no filter applied. Instagram adds new filters with some of the regular updates. Instagram users often tag their photos with 'hashtags' - a way to categorize photos. With 600+ million active users, hashtags allows easier access to your public content. Tapping on any hashtag takes you to the most recent and trending photos and videos for that category. A more recent introduction to Instagram is videos. Videos were limited to 15 seconds, but future updates increased this to 60 seconds. Multi-video posts allows up to 10 minutes of consecutive video to be shared. To compete with Snapchat, Instagram introduced Instagram Stories in August 2016. Instagram Stories allows you to share photos and videos in a stream. This media then disappears after 24 hours and are no longer accessible once expired. This is a lot like Snapchat's core functionality. Instagram was acquired by Facebook in April 2012 at a US$1 billion valuation. Since then, Instagram has continued to grow in popularity around the world as one of the must have apps. It often ranks within the top 10 rankings within the app stores around the world. Download Instagram for Android or iOS below. These links will take you to the respective app store to download the app to your device. If available, you can also choose to download the .apk file to install on your Android device. Please note that the app may request extra permissions, or contain in-app purchases.